Two queer WWU grads approach pop media with an academic eye, and dispel the myth of the guilty pleasure. We sat down and watched Waiting For Guffman, and ended up with a few questions. Namely, what's the point of mockumentary in the first place? Also, Ashley gets dangerous and Alex gets delicious. Ashley and Alex are officially roommates, and the first order of business was sitting down and watching Beautiful Creatures. How was this gem of a film forgotten? Oh right, it's target audience was teen girls. Also, Alex learned about a saint, and Ashley learned about a sinner. What is it about Netflix's adaptation of The Umbrella Academy that connected with us, and what does it say about this generation? This episode explores the themes behind the series and contrasts it with other hero stories, and maybe manages to make a point about something. Also, Alex and Ashley both managed to see the same movie in the theater and didn't even plan it. One month in, and already this year has given us a lot to talk about. We cover Kingdom Hearts 3, Polar, The Unbreakable Kimmy Schmidt, and Conversations With a Killer: The Ted Bundy Tapes. Also, BIG NEWS EVERYONE!!!!!! Rejoice, as the Gay Agenda(TM) claims another for our flock. Soldier 76 is gay, and we love it, but so what? What does it matter for Soldier to have a boyfriend, and what about other queer characters in other games? Also, Ashley leared about soome spooky little guys, and Alex has been watching Netflix (surprise!). So... what even was last year? Alex and Ashley try to piece together what 2018 looked like in media, and try not to think about all the... other things that occurred. Also, Alex has strengthened his relationship with Youtube, and Ashley wants to get her gambling freak on. It's been a while, but we're back and talking about The Chilling Adventures of Sabrina: A Midwinter's Tale! Well, after the important business of those new movie trailers... Also, Alex has a new toy and Ashley has a new child. What are we to do when a problematic person is involved with a project we like? What about when a creator we once admired has started making a lot of bad decisions? We're not totally sure we can answer those questions, but we'll talk about them anyway. Also, Alex has questions about salad, and Ashley has questions about ham. What did we think of Netflix's newest, spookiest original series? This is your chance to find out, lucky you. Also, Ashley had a great pie and Alex met a big pumpkin. So... what the heck is hygge? How do you even pronounce it? And what does it have to do with Hayao Miyazaki? We answer these questions and more in this extra cozy episode. Also, Alex is experiencing a time slip and Ashley has no more bones. Once again we've prepared a nice scatter-shot of stuff we watched. Looking for a new series to start? We've got you covered. Also, Ashley achieved culinary perfection and Alex might be cursed. Now that Ashley has finished watching Avatar: The Last Airbender, we wanted to discuss what we saw as being one of the most prominent themes running through the show: the perpetuation and breaking of cycles of violence and abuse. Also, Ashley found a new favorite show and Alex has a hot date. This episode required the help of a special guest, Ashley's husband Will! The topic of the day is movie musicals, especially those adapted from the stage. Also, Alex is still very tired, and Will and Ashley went to Black Mirror. This episode is a little different! We each went to the movies, and want to tell you about what we saw. First is Alex with Mama Mia: Here We Go Again, and then Ashley with Ant Man and The Wasp. And as a special bonus, we discuss what Ashley has watched so far in Avatar: The Last Airbender, and just how dang good it is! Also, Alex is an important poetry boy, and Ashley's legs almost fell off. Things have been a little crazy for us lately, so we decided to chill out and do a nice breezy media round-up. What have you been watching, reading, or listening to? 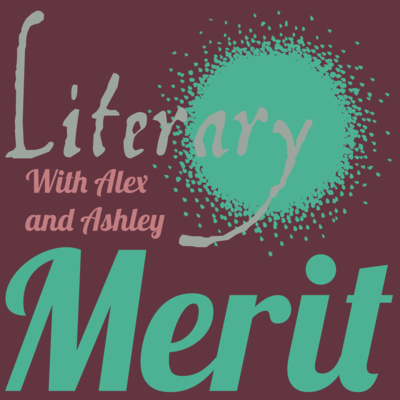 Let us know on twitter @litmeritpod! Also, Ashley is the boss now, and Alex has the water you crave. Inspired by Mikey Neumann's "Lessons Animation Taught Us" project on YouTube, we decided to try out the concept in our own medium. We talked about Avatar: The Last Airbender, We're Back!, Princess Mononoke, and of course Quest for Camelot (as well as a few others). Also, Alex struck out, and Ashley learned why you should go to a graveyard. If you want to join in the conversation you can find us on twitter, and please check out Mikey's original video on the FilmJoy channel as well as the various great responses other folks have made, which can be found in the Lessons Animation Taught Us playlist. This time we're talking Neil Gaiman's Norse Mythology, God of War (again), and Troy: Fall of a City, and wondering why it's gotta be so hard to keep track of these darn pantheons. And why are the gods so dumb? Also, Alex has the sleep schedule of a kindergartener and Ashley has identified the one time when double-dipping really is the best plan. It's been a little while since Alex and Ashley found time to chat, so this episode is a little bit of a media round-up. We're talking Infinity War, Troy: Fall of a City, and of course the Met Gala. Also, Ashley had some housing troubles and Alex met some dinosaurs. Well this was a little bit of a weird one! Since Ashley and Alex just couldn't find the time to get together, Ashley's two best boys Dillon and Will stepped up to fill those big shoes and discuss the new God of War game with her. Also, fight choreography is hard, and GO KAYLEY O'CONNOR!!!! 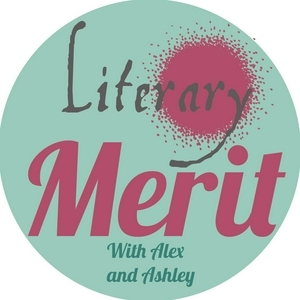 This episode is all about Alex's recent experience teaching poetry to elementary schoolers, but we ended up talking about Ashley's wedding for a good while anyway. How do you make poetry accessable to beginners, and what's poetry even for? Also, Alex got some new duds and Ashley is going to live forever. In this episode, Ashley and Alex found themselves recording in the same room! Such a treat! The topic is Coco, why so many people missed it, and why that was such a tragedy. Things ended up turning into a bit of a group therapy session, but it was mostly relevant. Also, Ashley is now terrified of the natural world and Alex keeps on truckin. Like everyone on Earth, we loved Black Panther and we knew we had to talk about it in one way or another. We decided to focus on the rad and terrifying Killmonger, and see how he compares to other supervillains, as well as movie baddies in general. Also, Alex is giving it another go, and Ashley hates cake now. In episode 24 we ended up summarizing a lot of Doki Doki Literature Club, so we cut it out and stuck it here. Enjoy. We had a wild time talking about this one, and had to bring back an old guest to do it right. Welcome back to the show Dillon, aka Zoodle! Doki Doki Literature Club is a very popular visual novel/dating sim, but with a twist. This one gets a big, big spoiler warning. Also, Alex has a lot of time on his hands, and Ashley's staying put. This one got a bit heavier than we expected, but in retrospect we really should have known better. The topic is queer coming of age stories, and a key phrase we hit on was "deferred adolescence." Hit play to hear what on Earth we were on about! Also, Ashley's headed northward and Alex had a snack. Another year over... what good stuff happened anyway? Ashley and Alex look back on 2017 and the best things in it, and mostly gloss over the rest. Also, Alex joined the artistic elite and Ashley waited for a bus. So this episode was supposed to be about The Good Place, and it was... for a while. Things got a little out of hand. Also, Alex is more stylish than ever, Ashley's getting into the Christmas spirit, and we fixed Brooklyn Nine Nine! This episode is all Tolkien. Well, mostly Tolkien. We discuss the varius adaptations and spin-offs that take place in Middle Earth, with a dash of Lovecraft for good measure. Also, Ashley has a new appreciation for Ryan Gosling and Alex invented a new flavor of doughnut. Too much good stuff happened recently, so this one's a double header. Ashley and Alex may have seen two entirely different movies when they saw Thor, though. Also, Alex spent some time on the road and Ashley has a new best friend. Happy Halloween! Stick your broom in the closet, put the werewolf in the other room, and pour yourself a nice glass of wine (or the dark red beverage of your choice). It's All Hallow's Read! For this spooky episode, we're talking about The new Amazon Prime series Lore. Also, Alex has a lot of lunches and Ashley's got a costume dilemma. We sat down with a fantastic new guest to talk about Brooklyn 99, and it was a more fraught discussion than you might think. Also, Ashley invented a new hair treatment and ALEX'S BOOK IS OUT!!!! This episode is a special sneak peek at Alex's forthcoming chapbook "The Myth of Man," plus we finally followed up on Solid State. Also, Ashley got a new rock and Alex wandered the outside world. At long last, Ashley got to yammer about her favorite show in the world, so this one ran a little long. Also, Alex shoots aliens and Ashley got (temporarily) stranded at the beach. Things got a little out of hand, and we ended up with a whole other episode. This is it! It's all GoT S7 finale nonsense, and we know it's what you crave. Buckle your fantasy seat belts, because we're taking off for The Adventure Zone! Also, Alex is publishing a book, and Ashley is spending even more time in that closet. This time we've brought on another guest and the topic is our own guilty pleasures, so you can make fun of us for the stuff we like. Also, Alex and Allie went shopping and Ashley escaped from a room. A topic that should be dead and buried has risen from the grave to plague us. Also, Alex went on a boat and Ashley puts small girls in car trunks (not really). This time it's a deep dive onto Jonathan Coulton's recent album Solid State. We're talking internet trolls, pictures of cats, and mankind's relationship to technology and each other. What's better than a web series? A queer web series! This time we're talking about The Outs and The Feels. Mean girls and soft boys. Also, Alex has different hair and Ashley cannot stop saying TRUE. Things are a little different this time, as we drill down on one particular piece of media: Quentin Tarantino's Inglourious Basterds. Also, Ashley had a birthday, and Alex has big news. We just had too many funny things to say! Here's the rest on Wild Wild West, The Borgias, and more. Historical fiction is the topic of the day, as we contemplate the difficult balance between factual integrity and good storytelling. We look back on what Blizzard did so, so right to make Overwatch the phenomenon that it is. Also, we talk about how tiny infants are and Pikachu's character arc. Stuff left on the cutting room floor of episode 5 for not being about comics, including smoochable boy faces and cancelled TV shows. We're talking queer comics, the history of LGBTQA+ representation in comics, and our favorite queer heroes. Also, we've got mixed feelings on the Wachowskis, as well as dogs. More than we ever wanted to know about Twitter's thoughts on Jeff Goldblum, and Sonic's new family. Our first guest episode! We talk about nostalgia in new video games and other media with Dillon, aka. Zoodle, who may or may not have gotten on the show thanks to nepotism. We ended up talking about Star Wars for a long time after episode 3, and dumb jokes were enjoyed by all. We drilled down on the topic of representation and diversity in Hollywood. Buckle up, this is rocky terrain. We mostly looked at Power Rangers (2017) and Ghost in the Shell (2017). Some rants cut from episode 2, including romantic misadventures with aliens and why Sherlock is dumb. We talk about adaptations of classics, and get a little sidetracked at times. Shakespeare, Sherlock Holmes and more are on the table.